The Italian Greyhound is extremely slender and barely over a foot tall, but has all the grace and sweetness of his taller Greyhound relatives. There is debate as to whether they were originally bred for hunting small game or meant to be simply a companion. In all likelihood, both are true, as they are adaptable to city and country life. 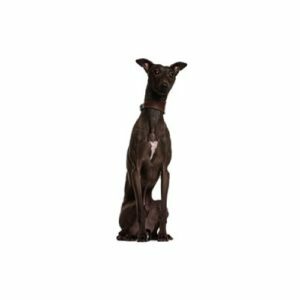 The Italian Greyhound?۪s coat can be any color, except brindle and classic black and tan. As with many ancient breeds, their depiction in art and architecture provides insight into their origin. Miniature greyhounds appear in ancient decorative arts of the Mediterranean countries dating back 2000 years. During the Renaissance, Italian noblemen adopted the breed as their own and it became known as the Italian Greyhound. The breed made its way to England in the seventeenth century, gaining steadily in popularity. Playful and intelligent, the Italian Greyhound is generally easy to train and prefers to spend most of his time with his owner. They like attention and affection, and are a peaceful, gentle friend to adults and children. Italian Greyhounds are an active breed that loves to run and play and requires daily walks. Their small size makes them ideal for an apartment and his short, smooth as satin coat makes him one of the easiest breeds to groom. Ranging from 13 to 15 inches tall at the shoulder. Daily light exercise is fine. Are you interested in purchasing a Italian Greyhound?